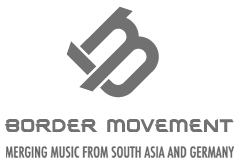 The Mumbai-based BBC (Bay Beat Collective) formed in response to the abundance of standard-issue electronica so commonly heard in clubs and bars across the country. A DJ collective currently consisting of Kris Correya (longtime resident DJ of Zenzi, Mumbai’s most reputed club for experimental / underground music), Sohail Arora (DnB promoter & founder – KRUNK, the alternative booking agency) & Raffael Kably (Sound Engineer), the BBC’s passion lies in drum & bass, breaks, dubstep, glitch, funk and minimal sounds. Visual Jockey Dooj adds another dimension to their sound with his innovation within visuals.